The Royal Alberta Museum is a museum of human and natural history in Alberta, Canada. 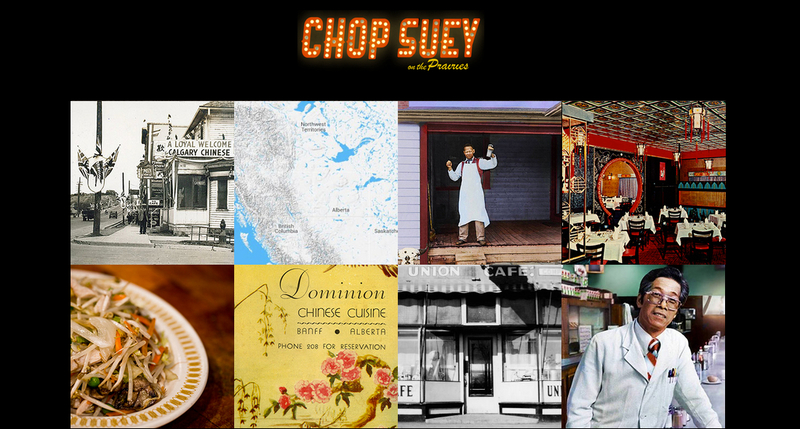 The museum ran an exhibit titled ‘Chop-Suey on the Prairies,’ which told the story of Chinese immigration to Canada beginning with the Fraser Valley gold rush in the 1850s. Their goal was to create a website that would become a companion piece to the exhibit. The local Chinese community and East Asian studies students wanted to explore and contribute to the material gathered for the exhibit, so the website also offered an opportunity for them to view content that couldn’t be part of the exhibit. The museum had hundreds of archival photos and documents, and many hours of video footage to include. We used storytelling techniques to design interactive elements like a timeline, mini-game, interactive maps, restaurant menus and photo slideshows alongside text and other ephemera to explore the historical narrative highlighted in the exhibit, while aligning the website visually with the exhibit’s design. In the exhibit, the museum had a sign like this with bulbs that they were slowly allowing to burn out. We mirrored that with this logo. We created a custom Google map, plotting the restaurants that featured in the exhibit, and showing exterior photos. You can click on a few to find interior photos, family bios, videos and menus. We created a custom Google map, plotting the restaurants that featured in the exhibit, and showing exterior photos. The user can click on markers to view interior photos, family bios, videos and menus. The food, was, of course, a key feature in the exhibit, and on the site. We built a carousel showing place settings with the key menu items mentioned in the exhibit – Chop Suey, Green Onion Cakes, Sweet & Sour Pork, Won Ton Soup and Ginger Beef. A few of the dishes are accompanied by videos of chefs from our featured restaurants. For a little bit of fun, we created an animation for the user to make their own won ton soup. For a little bit of fun, we created an interactive animation so that the user could make their own won ton soup by clicking and dragging on the ingredients. The timeline is a key part of the story, sharing the details of Chinese immigration to Canada from the 1860s to present, and showcasing some important people and places for the Chinese community on the Canadian Prairies. Archival images and documents are displayed here.